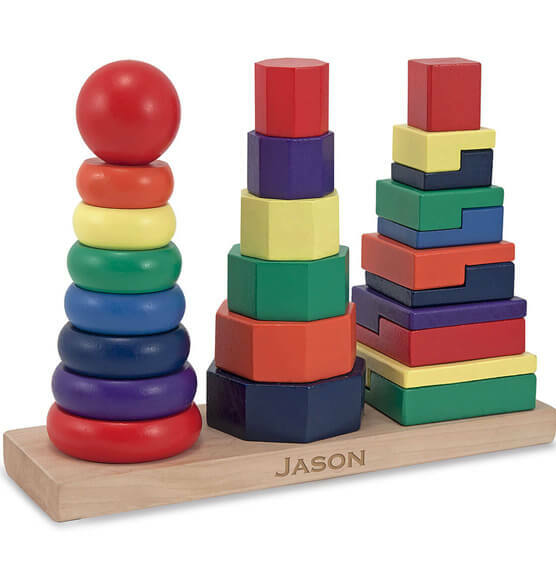 Match and sort the 25 colorful wooden pieces in this Melissa & Doug® Personalized Geometric Stacker, and skill-building is just part of the fun. Rings, octagons, and rectangles can be slotted onto the three rods, stacked on top of each other, or lined up to compare shapes, sizes, and colors. 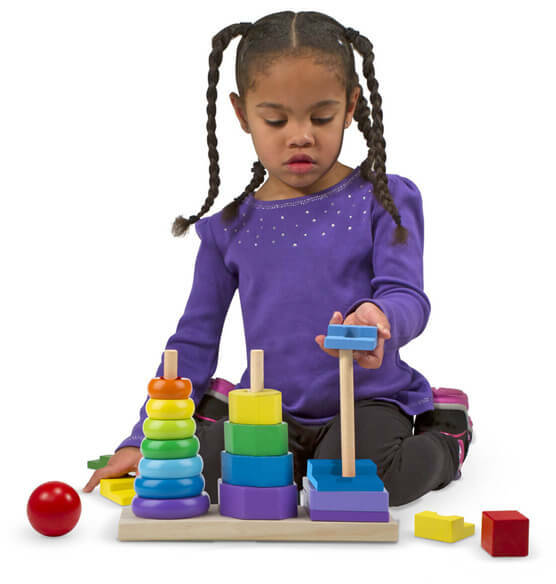 This stacking toy set is a manipulatives all-star! Express shipping not available. Please allow 2-3 weeks for delivery.